Perfect for architectural enhancement and applications where less light is needed. Sea Gull Lighting outdoor wall fixtures are made to complement a wide range of architectural styles and crafted from high quality, durable materials to provide you sensible style that lasts. 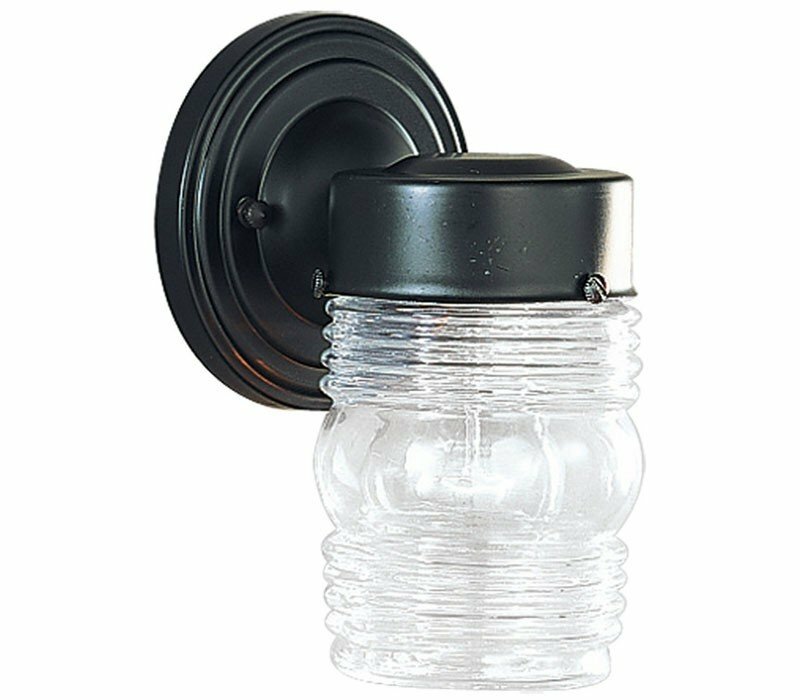 The Sea Gull Lighting 8550-12 Outdoor Wall collection Outdoor Wall Lighting in Black uses Incandescent light output and brings Traditional style. This item is 7.5"H x 4.5"W x 4.5"L. The wattage is 100. The Sea Gull Lighting 8550-12 requires 1 bulb (not included). Additional Information: Shade-Clear Glass.